My daughter starts Kindergarten for the first time this year and for the first time I understand what parents truly feel like as they drop their kids off to my classroom. Before I often wondered at the looks of anticipation and worry over who will teach their child, especially starting a new school but I too have that same apprehension. Don’t get me wrong I have total faith in my whoever my daughters teacher will be but I still have fears about her starting school. 1) Will I know what they will be learning so I can help at home? 3) How will she behave and will she continue the values that we have tried to teach her at school? 4) what will her teacher be like and will they have the same values, principals and believes about learning as I will? 5) Will that teaching style be what my daughter needs? All of these fears I now realize my own students parents are probably feeling too and it really has made me think more about creating more of that positive connection with my parents. 1) For the last couple of years I have started to use twitter more in the classroom, not as a PD opportunities (though that is an excellent reason) but as a window into my classroom. I don’t want my parents to ever feel like they don’t know what is happening in my classroom. At the end of the day I collect my tweets using storify so that my parents who are not on twitter can read my recount of the day. Thanks to a great friend Aviva (@avivaloca) I have started to add guiding questions and further problems to work with at home. 2) Class communication: I have always felt that communication is the best defence. I have multiple ways of communication and probably too much. At the present time, I have twitter, we use edmodo, our google accounts and the class site (though edmodo is slowly replacing this). On these platforms, students and parents can see videos, homework, daily posts and general comments. What these ideas hopefully allow my parents is a window into their child’s life at school. They can see what is happening and not feel left in the dark. The last of my fears will be hard to solve as they are a personal feeling but I hope that because of this openness my parents feel that they can come to me whenever they want. If they don’t agree with me I want them to let me know. Conversation is the key and when it’s open the child is always succeeding. I know this blog post is more of a ramble of ideas but before this moment I truly never really thought about the other point of view. I knew about it, I did my best but had nothing to relate the experience too. Our parents are giving us all they have, how are we treating that? How are we bring them into our world and making them feel apart of the learning? Or are we leaving a big partnership in the dark? Love to here what others do to help bridge the parent divide. 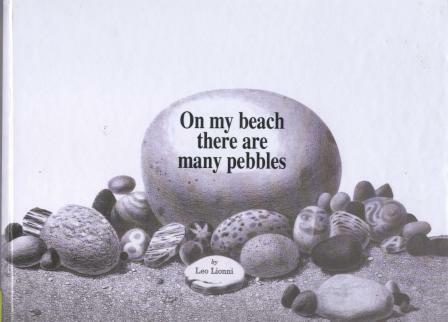 The book talks about all the different pebbles that you can find at the beach. It pushes students to look beyond their surroundings and pay attention to everyday things and see them in new ways. We had a discussion about this (which was hard for my twos). We compared it to our own lives and how we are all unique and different and that is okay. I then had them create their first writing samples about what makes them special and why. Students then created rock people of themselves. For grade two these things really turned out well. The kids really liked the project but in the end it also taught them to reevaluate everyday things in a new light. To be honest it was never my intention to get the kids to think this but was very surprised by the outcome. It is important that students learn to reevaluate their everyday life and take stock in what they have. Its nice to see that everyday items can be very important for other uses (at least in my opinion). It turned out to be a great not only for writing samples but art as well.